Generally, good rugs with high quality are so costly that they burn a hole in the pocket of the buyers. Either a buyer has to buy a low cost rug that lasts a year or two or get ready to spend a lot of money to buy quality rugs that do not give up easily. But in the case of jute floor coverings, buyers do not have to worry about their life and cost as they are a perfect blend of quality and cost effectiveness. A buyer can easily find a brilliant quality rug that lasts long at affordable prices. As Jute floor coverings are manufactured from a natural fiber, Jute making these rugs environment friendly and safe to use. These floor coverings indirectly support the green movement as they do not provide any kind of pollution in the environment. Moreover, their production process also very eco friendly including no emission of harmful products. Jute plants, used in the production process, grow very fast. As they can grow at a brisk pace naturally, they do not needs any kind of external help such as farmers, jute producers, etc. In addition to this, no pesticides or fertilizers are required to improve the quality of the plant. Hence, starting from the production of plants to the designing of floor covering, everything is very environment friendly. The issue of recycling manually or with the use of technology is far away from the Jute Floor Coverings as they can be easily recyclable. Buyers don't have to worry about the recycling of floor coverings as they do in plastic. Besides being recyclable, Jute Floor Coverings are also bio-degradable. This property is hard to find in any other floor covering. They can be easily and promptly disintegrate and biodegrade. So, buyers don't have to worry about anything whether it is recycling or biodegradation at all. 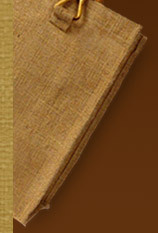 Among all the fibers occurred in nature, jute is considered as the strongest and long lasting. Hence, a buyer can easily rely upon a jute floor covering as its high wear & tear property makes it lasts for a really long time. Its strength adds other benefits in this covering such as durability, hardness, resistant to abrasion, etc. that further enhance its credibility among people from all over the world. 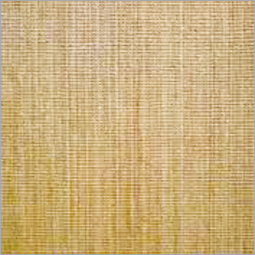 Jute Floor Coverings are available in a plethora of great designs, styles and patterns to select from. Its natural shine and enticing designs make it ideal to increase the beauty of the establishments and add a captivating aura to them.